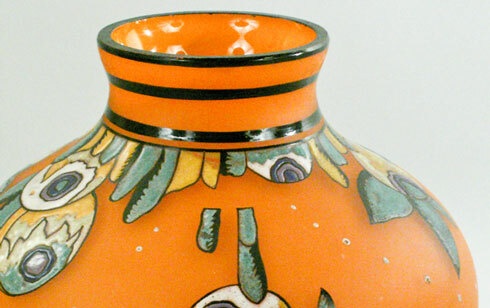 Bloom Fine Art & Antiques - Fine & Decorative Art, Antiques, Collectibles & More! We have been an online antiques dealer since 2000 and are proud to offer a wide selection of fine and decorative arts for any budget. Our high feedback rating on eBay attests to our exceptional level of honesty and professionalism. Please scroll over the category buttons below for a sampling of our inventory. Our entire inventory can be found online through our eBay auctions and our eBay store . As always, every item we sell is backed by our 30 day guarantee. We hope you enjoy our site! Bloom Antiques represents the estate of listed Brooklyn artist, Winthrop Turney (American, 1884-1965). Please click here to view available watercolor artworks. "Bloom has been an excellent, reliable and trustworthy source for fine art and decorative accessories for us for more than three (3) years. Wonderful staff, quick shipping and great packing has made every transaction a truly enjoyable buying experience. We recommend Bloom without hesitation or reservation!" "Flawless Transaction. Excellent Antiques. Wonderful Packaging. My Highest Rating"
"Excellent overseas seller, Swift shipping, Great item, Recommended, AA++"
"Fantastic transaction = fast delivery + excellent contact = recommended Seller!" Click here to read our weekly posts and view images of featured items with interesting stories!